North American deerskin gloves for roping, riding or working. 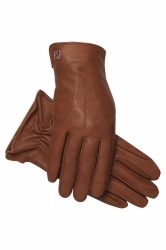 The ultimate in comfort with a buttersoft feel and deerskin durability. Key area reinforcement.